Edinburgh Festival – Music, Vibration, City Heartbeat – Life. On the Royal Mile, one day during the Edinburgh Festival, atmospherically immersed, eyes closed, ears open vibrations from left, right, behind, afore, above and below flowed into the mindscape. 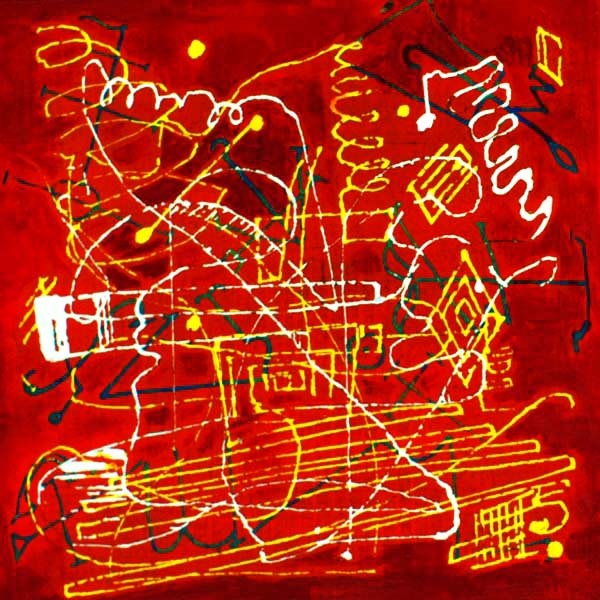 Musical phrases from some distant musician’s keyboard together in harmony the jazz tapping steps of a dancer metering out some forgotten traditional American dance routine, repetitive, patterns, shapes, movement painting over the red canvas of the mind. Suddenly, interrupted, like a baseball bouncing off a wall the sound was halted and then as if gaining energy after rest returned back on itself, louder but distorted, crisscrossing with other sounds creating shapes like some BMX stunt rider attempting the impossible. Mental conception, split in two, part amoeba part astronaut, all became visible, large, small, the present transfiguring future into past, the significant and the insignificant. Realization at that moment became one. Music, Vibration, City Heartbeat – Life. “Art a construct in my mind visually deconstructed and rebuilt in your mind”.